After becoming the first distillery in Chicago since well before Prohibition, winning a double gold medal at this year’s San Francisco World Spirits Competition, numerous branding awards, best in show at the Los Angeles International Spirits Competition, and helping to establish over 90 distilleries throughout the United States and Canada, it’s fair to say that Koval Distillery has made good use of the seven short years since it was founded. The success of its whiskies and the recent launch of its award-winning dry gin have helped to put their city back on the map of American craft distilling, and their work as educators has left an indelible mark on the industry as it has taken form over the last decade. Dr. Robert Birnecker and Dr. Sonat Birnecker-Hart—the husband-and-wife proprietors behind Koval—forged an unconventional path to that success. Through their hard work, dedication to their craft, some legislative persistence, and a healthy dose of luck, they have managed to create one of America’s most successful independent distilleries from the ground up. The Birneckers are some of the most sought-after minds in the word of craft distilling today. When Koval first opened in Chicago’s North Side neighborhood of Ravenswood, however, the couple found themselves getting requests for a very different kind of service. Neither of us liked gin, so we approached the project as a challenge to create a gin that even we would love. That hard work (and admittedly difficult work-life balance) has paid off in a big way. The whiskeys they created in that space have gone on to win some extremely prestigious awards, and have landed Koval on the top-pick lists of writers from Whisky Advocate to the New York Times. That cleanness and dedication to organic grains are two things that make their spirits stand out from the crowd. Take, for example, their rye whiskey. In contrast to many brands that only use a 51% rye blend (the bare legal minimum), Koval’s version uses 100% midwestern-grown organic rye, giving it a unique flavor profile that you simply can’t get from any other grain mash. Additionally, the choice to use millet in their bourbon is something whiskey purists may initially scoff at, but the proof is in the flavor. Sonat talks about it with great affection. Recently, in a departure from their whiskey roots, Koval branched out by releasing their first gin—and given that it was awarded a Double Gold at the San Francisco World Spirits Competition, it seems their first foray into this new category was a success. In a stylistic synthesis of London Dry and modern American recipes, it features some innovative botanicals like grains of paradise, rose hip, and angelica root. The distinctive label on their gin has also garnered a lot of attention. The bottle features an intricate, laser-cut design created for Koval by Sonat’s sister and her firm Dando Projects. But creating a successful design didn’t happen overnight, and there were certainly some hiccups along the way. “We can do a lot of things ourselves, but branding is not one of them. When we first launched our whiskey we did it under the name Lion’s Pride, and it was just not done well. Robert and I did it one Sunday in bed with our computer and our limited Illustrator skills. Sure, it saved us a lot of money, but it ultimately was very detrimental to launch our whiskey line that way. At the time, the couple were still getting their start, and the prospect of hiring others to do anything was a difficult pill to swallow. Still, the expert was persistent. 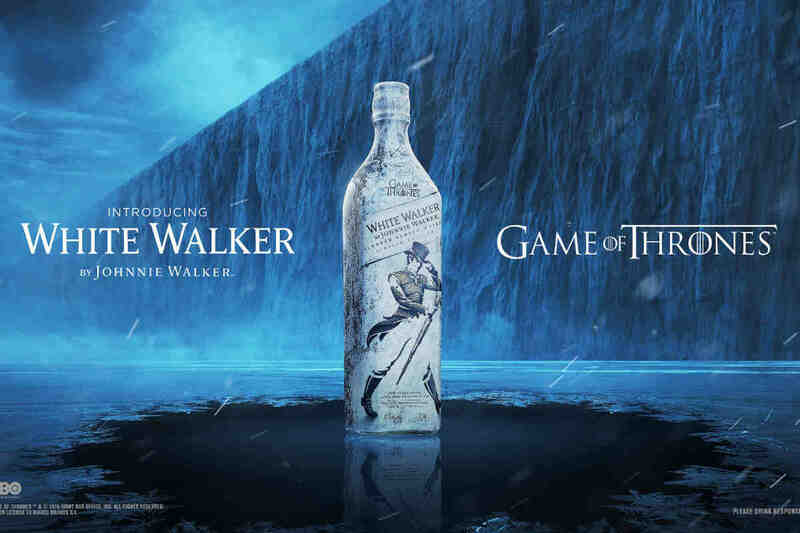 “Finally, we did go to a branding company that did some liquor and they did a horrendous job. We were miserable. It was the most expensive laugh I think we’ve ever had in our lives. My sister was absolutely horrified because she sort of forced us to do it. We did it, we spent the money, and then it was a disaster. So she said, ‘You know what? I’m just going to do this myself.’” It wasn’t the most traditional route to finding a label design, but the final product was worth the wait. Before they ever broached the idea of starting a distillery, Sonat and Robert were fairly well ensconced in their academic careers in Washington, DC. But despite their success, they couldn’t help but feel like something was missing from their lives. I don’t think we ever considered the fact that we could fail. We really never thought like that. The Birneckers decided that the life they wanted looked different. They wanted to create something, make something with their hands, and they couldn’t stand the thought of any more hours-long commutes on congested freeways. The way they decided they could get all of these things was by starting a family business. “Grew up in the industry” is a bit of an understatement; Robert’s family has been producing award-winning wine and brandy for four generations at their distillery in Austria. It was natural for Robert to develop a love of distilling, one that goes beyond wanting to make something people will buy. Over the years, the couple has taken advantage of Robert’s family business (as well as their own time living abroad) to make some valuable contacts in the European distilling industry. Sonat explains that this was a major factor in their decision to jump into craft distilling. Still, the investment it takes to start a distillery from scratch is immense. Copper stills are expensive, and housing them along with a plethora of 30-gallon whiskey casks) takes a lot of space—space that, in the middle of a major city like Chicago, never comes cheap. In order to get things going, the couple had to make some financial decisions that, in hindsight, may have been a bit too risky for a family who had just had their first child. “I don’t think we ever considered the fact that we could fail. We really never thought like that. If we did then we would’ve addressed it, but it wasn’t even on our radar.” That blind optimism certainly explains what they did to raise capital, quickly and without the help of a bank. Distilling in Chicago at the time was uncharted territory. There hadn’t been an active legal still in Chicago since the mid-1800s, and the Birneckers were concerned about how the locals might react to one suddenly popping up in their backyard. Finding the right neighborhood would be vital. Faced with being hamstrung by these outdated regulations, Sonat decided to make some more phone calls. She was determined to figure it out, even if it meant changing some of the laws herself. “I called up Gene Schulter again and I said, ‘We really need to figure out a way to have a tasting room and a retail store.’ Literally the next day I was in the Alderman’s office with our Senator, Heather Steans, and our Representative, Greg Harris. We started figuring out a plan to introduce a bill to Springfield to make it possible to have a craft distillery license. We just made it happen.” You may be noticing a theme here. This was the beginning of what has since become Kothe Distilling Technologies. Kothe stills are the brand of stills that the couple has used since the beginning. They now represent the firm in North America and operate as consultants for the brand. 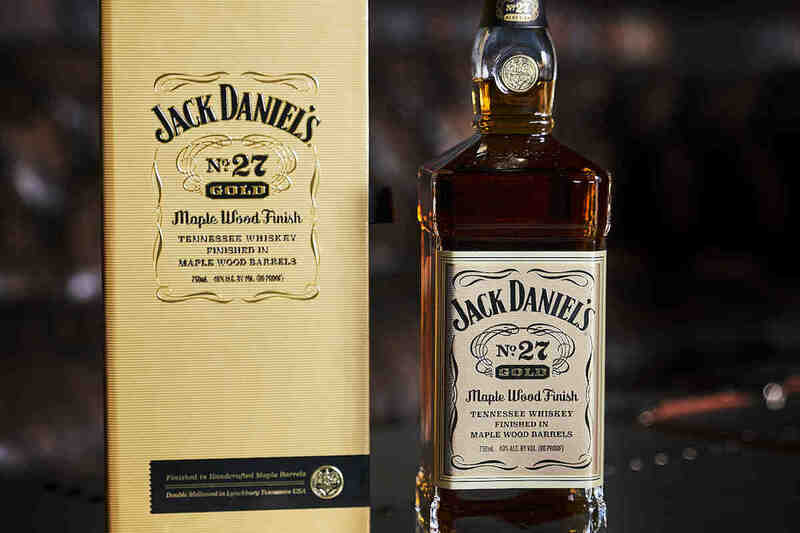 It’s not for everybody, but we hope that people want to drink to enjoy life, for life’s good times with other people. 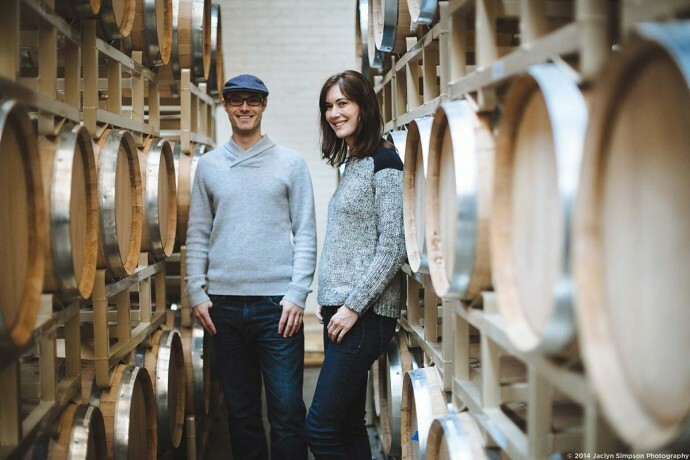 Between Kothe Distilling, Koval’s workshops, Robert’s involvement as a distilling instructor at the Siebel Institute in Chicago, and personal consulting (which they somehow seem to still fit into their schedules), the couple has helped set up over 90 distilleries in the United States and Canada. And as you might expect, some of the people they helped establish ended up in direct competition with Koval. It’s something the Birneckers have always welcomed, though, because as far as they’re concerned a strong craft distilling market helps everyone. Obviously, Koval and the Birneckers’ contributions to craft distilling goes well beyond the products they make. In addition to the distilleries they’ve advised, the couple estimates that they’ve helped more than 2,800 people learn more about artisanal spirits. They fostered a market that had very few standout products only a few years ago, and helped turn it into one of the most successful new industries in the modern economy. 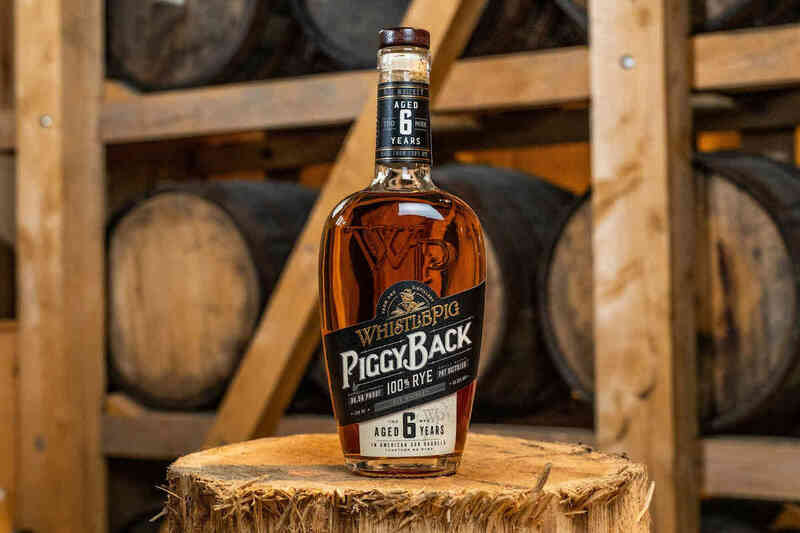 Along with many other craft distillers, their success has undoubtedly captured the attention of major distilleries, leading them to establish more artisanal brands themselves (for better or for worse). The future of Koval is certainly an exciting thing to think about. The couple already makes some fantastic brandies, liqueurs, and vodka in addition to their whiskeys and gin, but they’ve never been particularly timid when it comes to taking on new challenges. After such wild success with the launch of their gin, an agave-based spirit, rum, or any number of other products don’t seem too far out of the question. Today, Koval resides in a much larger facility than the humble warehouse in Ravenswood where they first set up shop. They’ve recently extended their distribution globally (to Canada, Germany, Japan and the UK so far), and it seems fitting that a brand with such international roots is finally being enjoyed the world over. Their barrels are even seeing new life as well, as they’re put to use in craft breweries and Scotch distilleries. And while nothing is certain, it seems that whatever the Birneckers choose to do next, it will be done well and, as always, as a family.